I’ve been a big fan of PHYTO for years - 25 years to be precise. I first started using their products when I became a makeup artist in my early twenties, starting with their very iconic hair oils. Now they're not only in my work kit but a big part of my haircare at home. 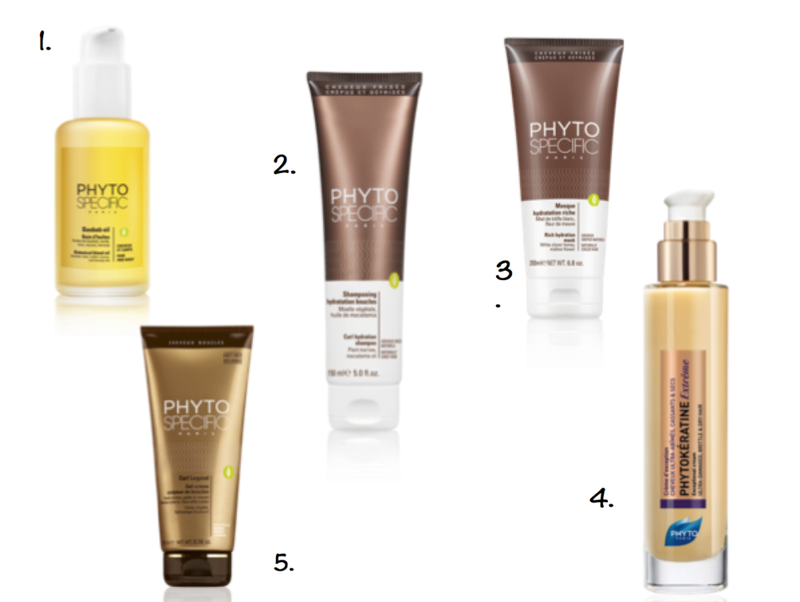 One of the wonderful things about PHYTO is that it’s botanical - haircare derived from plants. Their products are at least 95% natural and avoid the use of chemical substances like parabens, silicones, mineral oils and synthetic alcohols. Always wanting to try new products, I was so pleased when they asked Dani and I to trial and review some of their haircare. We have different hair types so we knew it would be fun and interesting to see the results. I was overjoyed with the results on my hair after using the 5 steps by PHYTO. First of all curls are moody and temperamental. You can do the same treatments and they'll always look different. Secondly curly hair is naturally dry and I now have the added problem of grey hair which makes my hair even drier. Add chemicals from colouring and it can soon look dull and frizzy. Using PHYTO was the answer to all of my problems. My hair looks and feels more healthy and the curls are more separated and bouncy. Curl products can also leave your hair feeling dry and crunchy but not with PHYTO – it really does feels soft and natural. I’m not sure I’ll ever be able to use anything else! Curly hair is dry and this product is a great way to keep my hair soft, help protect against frizz, environmental factors and sun damage. Baobab Oil can also be used on the body and areas of severe dryness such as knees, cuticles and elbows so I only need to take one product when I travel instead of three – result! I usually use it once a week on my hair for an intense treatment. "Baobab Oil is a luxurious, multi-purpose oil that can be used on hair, scalp, and body to nourish, regenerate and protect. 99% botanical, it's a unique blend of some of the most beneficial oils nature has to offer (baobab, shea, castor, roucou, karanja, soy, corn and olive) that envelops your hair and skin with a subtle, sun-kissed fragrance. The fast-absorbing formula is heavy on benefits yet so lightweight, you can use it daily to keep hair soft, shiny and disciplined. It also provides sun protection for hair and protects against free radicals, which can cause damage and frizz." As a pre-shampoo treatment: apply to dry or damp hair and scalp. Leave on for 10-15 minutes, then rinse thoroughly and proceed to shampoo. For more intense results, leave on overnight and shampoo in the morning. 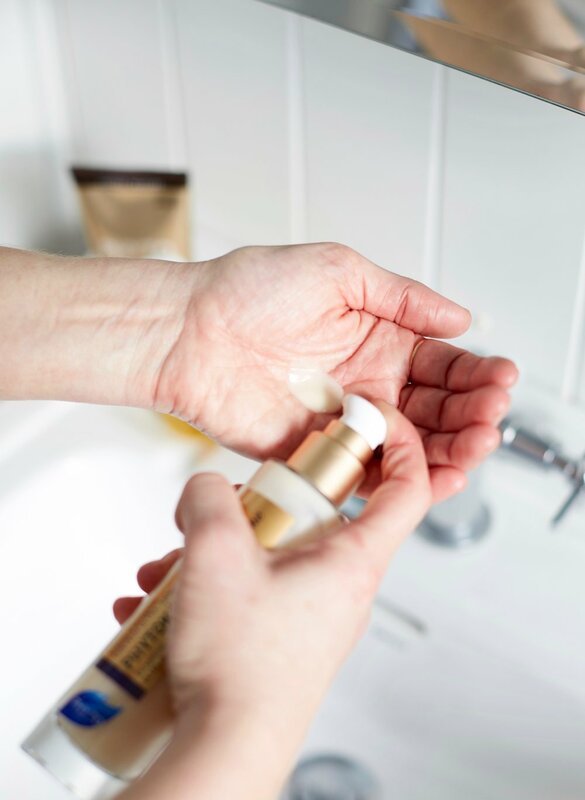 As a leave-in treatment: Start with one or two pumps and rub between hands. Apply more if needed. Distribute evenly concentrating on mid-shafts and ends. Curl Hydrating Shampoo is very gentle and manages to clean my hair without it becoming matted and tangled (another added pleasure of curly hair). I’ve never found a shampoo that actually helps detangle my hair, until now! No longer do I need copious amounts of conditioner. "This shampoo is fortified with ultra-hydrating mango oil, ultra-nourishing plant marrow, and powerful anti-oxidants to strengthen hair, protect it from external aggressions and prevent split ends. Formula gently removes impurities while replenishing essential moisture to detangle and soften curls. Curls are left soft, bouncy and shiny with increased manageability and strength." This shampoo is so gentle that it can be used daily. Personally my curls react better if I only wash my hair twice or three times a week. Curly hair is naturally dry so I would recommend that anyone with curls should use this treatment at least twice a week. My hair is now grey which makes it very dry, and add the chemicals from colouring and I’m left with very dry, brittle hair. I could never grow my hair until I started using a mask because my hair would just snap at the ends. Now its healthy and long. The Hydration Mask is light enough to use every time I wash my hair, just like a conditoner. It’s the first thing I do in the shower and by the time I’ve washed and shaved, the mask has done it’s magic. "Manage the unmanageable. This extra-rich conditioning mask turns the driest, thin to thick textured hair into soft, silky, manageable tresses." Apply a generous amount to clean, towel-dried hair. Comb through the hair with a wide-tooth comb. Leave on for 15 minutes or more then rinse. It can be used daily as a conditioner, if so don’t worry if this time is cut short, 5-10 minutes will do. Tip for curly hair - Rinse the mask out with your head upside down and comb it through with the wide tooth comb until you see the curls form. Squeeze any excess moisture out (never rub your hair with a towel). Curly hair has naturally open cuticles which makes it dry and open to damage. This is why curls need a lot of TLC and why a leave-in is so important. Phytokèratine repairs my hair while keeping it soft and protecting it from any heat. I can feel the difference as soon as I apply it. "This exceptional cream helps protect against heat and penetrates to rebuild and regenerate each hair fibre, restoring elasticity and strengthening hair to renew it with ultimate softness, suppleness, and shine." Apply 2 to 4 pumps depending on hair thickness and length. Apply to damp hair before you add your styling product (if needed) blow dry or heat style as normal. Curly hair is unpredictable (only girls with curls will understand this) so it needs a good styling product to tame those unruly waves – Curl Legend Gel will do just that and I love it! My curls are perfectly defined and bouncy with no crunchy residue and most importantly, no frizz! "Curl Legend Gel is designed to address all types of curls from very fine to very thick hair. Enriched in ultra-nourishing, protein-rich Botanical caviar, this curl enhancing cream creates magnificent curls. Elasticurl, a natural curl enhancer, offers lasting curl definition and hold with healthy movement." To apply put your head upside down. Rub the product into the palms of your hands and gently stroke it through your curls. You’ll only need a little. When you’ve finished, squeeze your hair into your fists. Now dry your hair upside down using a diffuser (a must for curly hair). You may find you didn’t use enough product – it'll be trial and error for a couple of washes, until you find the perfect amount for your hair. PHYTO was conceived by celebrity hairdresser Patrick Alès, long before the emergence of environmental awareness and botanical hair care trends. It all started when Patrick Alès was a salon apprentice in Paris during the 1950's. He noticed that chemically-laden products were taking a serious toll on the hands of the hairdresser's and the hair of their clientele. The first seeds of his idea for a much gentler, less harmful range of hair products were quietly sown. PHYTO Laboratories, with its hi-tech innovative scientific lab complete with doctors, pharmacologists, botanists and biochemists, is able to identify the most active plant extracts in ordre to reveal the prime beauty of hair. Their work, validated by rigorous scientific experiments, has opened the way towards innovation, and has allowed PHYTO to become a renowned pioneer in hair care.